The world‐famous Acropolis in ancient Athens, delicious Mediterranean food, friendly locals and the beautiful beaches from Mamma Mia! … Greece certainly offers many gems to discover! My Big Fat Greek Wedding (2002) and My Big Fat Greek Wedding 2 (2016) – not actually filmed in Greece. Nevertheless, these two romantic comedies about Chicago‐based Greek emigrants are still great movies to learn more about Greek culture. Most people visit Greece in the summertime, although cities such as Thessaloniki and Athens can be visited all‐year‐round. Many Greeks go on their annual holidays in August (roughly between the 1st and 20th). During this time, the tourists will have the cities almost to themselves, but the islands may be busy. The Acropolis in Athens is pretty busy throughout the summer season from 1st of April to the end of October. But if you go in May or June (like I did), it's not as crowded yet. Some of the Greek islands are year‐round destinations. Others, such as the "Mamma Mia! islands" of Skiathos and Skopelos, are not. The season here runs roughly from May and until mid‐October. Outside of the summer season, all tourist‐related companies and restaurants will be closed. Thessaloniki is the second biggest city in Greece by population. As such, it offers many international flight connections and is easy to get to. In the summertime, the nearby Chalkidiki peninsula is great for relaxing at the beaches, so you can easily combine a beach holiday with a city trip here. Interesting fact for film fans: Thessaloniki is also known for hosting one of the most important film festivals in Europe every year in November. The ancient city of Athens is one of the most exciting places in Europe and the world‐famous Acropolis a must‐do on many people's bucket lists. However, in such a busy city, deciding where to go and what to do can be quite overwhelming – especially for first‐time visitors with limited time. So in my post A Quick Film Fan’s Guide to Athens, I share my best tips on how to make the most of limited time in Athens… film fan style! 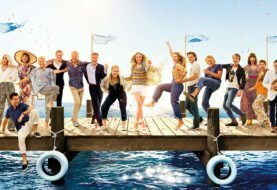 Perhaps the most famous film to ever having been filmed in Greece is the musical hit movie Mamma Mia! (2008). 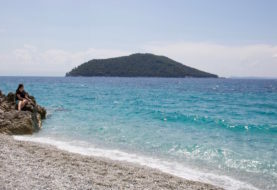 Most of its filming locations can be found on the Greek islands of Skiathos and Skopelos in the northwest Aegean Sea. Other popular Greek islands include Crete, Corfu, Rhodes, Mykonos, and Santorini. Just check out the films above for more film‐inspired Greek island destinations. In the cities: If you stay somewhere central, you can easily walk everywhere. Otherwise, there are public busses. Athens also has an underground metro. Taxis are not too badly priced either. Finally, Hop On / Hop Off busses are a good choice to get around, especially if you are limited on time. To get from city to city and to the islands: To get to the islands, you can either fly from cities such as Thessaloniki or Athens or take the train and then the ferry. I found the trains to be pretty good (with air‐conditioning and seat reservations). They were also reasonably priced, even if booked shortly before the day of travelling. For flights, check out Aegean Airlines. Train tickets can be booked via the national Greek rail website TrainOSE and ferry tickets via ANES Lines ferries or Golden Star ferries. On the islands: You can do as the locals do and rent a scooter. For maximum flexibility, you should rent a car. However, there are also many tours available, such as the Mamma Mia! 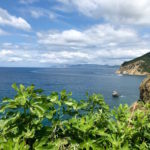 Film Locations Tour on the island of Skopelos, with certainly is the most convenient (and film‐inspired) way to get to know the island. You can never go wrong with a classic Greek salad, which you can get everywhere of course. As I am a vegetarian, I did have my doubts about the heavily meat‐based Greek cuisine. 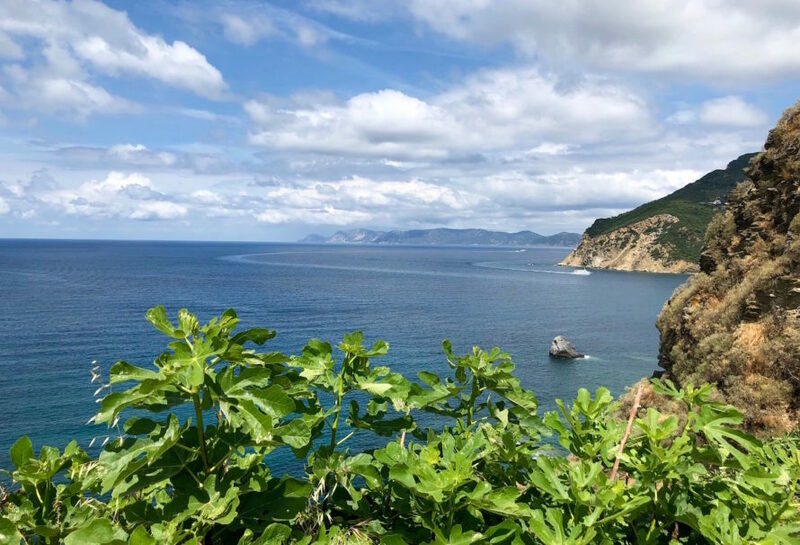 But when I came here, I found that there were a lot more vegetarian options than I had anticipated, such as "Vegan Gyros" in Athens, or a good choice of grilled vegetables on the island of Skopelos. Most of time though, I went with my favourite dish ever – Spaghetti Napoli (sometimes with a Greek twist). For dessert, Greek yoghurt with fruits or nuts is always a great choice. 1. Wear a hat and sunglasses in hot places like the Acropolis. You’ll be easily recognizable as a tourist, but it’s better than to get sunburnt. 2. Drink water! It's important to keep hydrated. As far as I know, you can drink tap water in most places, but if you always drink water from bottle (like I did), you'll definitely be on the safe side. A bottle of 0,5 l of water should only cost you 50 Euro cents anyways, so it's pretty cheap. Plus, water from the bottle will usually come ice cold. 3. Siesta hours: During the hot summer months, many Greeks like to take a "siesta" between 1 and 5 pm. Some churches and other places of interest might be closed then. 5. Credit Cards (including contactless) are widely accepted, but not everywhere. So bring some cash just in case. 6. Tipping practices are very much like in the rest of Europe. You usually "round the bill" or give about 10–20 % in restaurants with table service. In my experience, tipping taxi drivers is not really expected. 9. Toilets: Most places have signs not to throw toilet paper in the toilets, so it’s best to get used to it.